This year we celebrated the Autumnal Equinox – when day and night are perfectly balanced with a festival for our community. This equilibrium also represents the duality of light and darkness that exists within human beings. This festival honors the courage and strength in each of us, as we face this part of the year, of longer nights – a natural time of turning inward, reflection, and facing our own darkness. This is traditionally pictured as the brave warrior in the act of subduing a dragon, which represents the dark side of human nature. The children learn that with great valor, dragons can be beaten. For our festival, we began with a bonfire at sunrise. 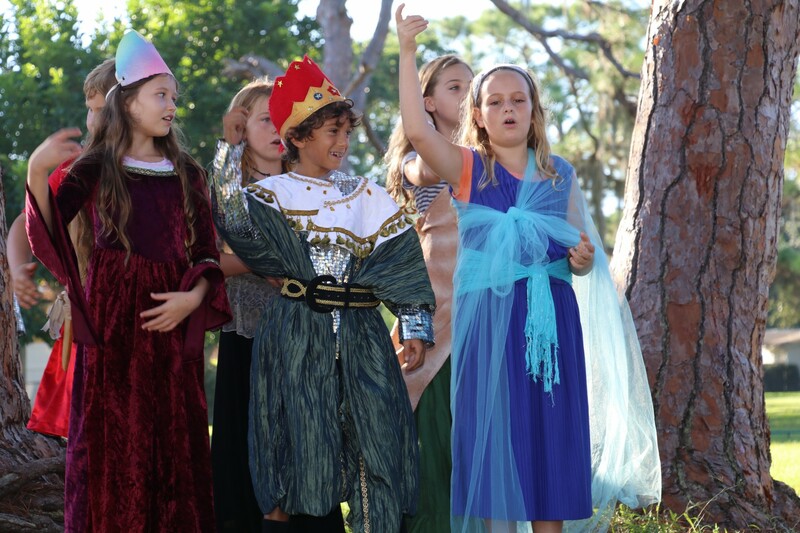 Afterwards, the Grades students performed a play for the community that depicts the story of George and his battle with the dragon, then enjoyed a potluck breakfast together. Finally, the children enjoyed feats of strength and courage in the form of an obstacle course and games. Thank you to all who attended!